Every kid goes through it. It’s called the Spider-Man Phase. Often times, somewhere between the ages of about 5 to 12, young kids that are going through the Spider-Man Phase can only think about being a superhero. They’ll somersault around the house, pretend to climb the walls, pose in the classic web-shooting stance (you know the one we’re talking about). They might even accuse you of being a supervillain! Don’t worry. It’s a phase they’ll grow out of by the time they’re a teenager, so until then, it’s best just to encourage it. 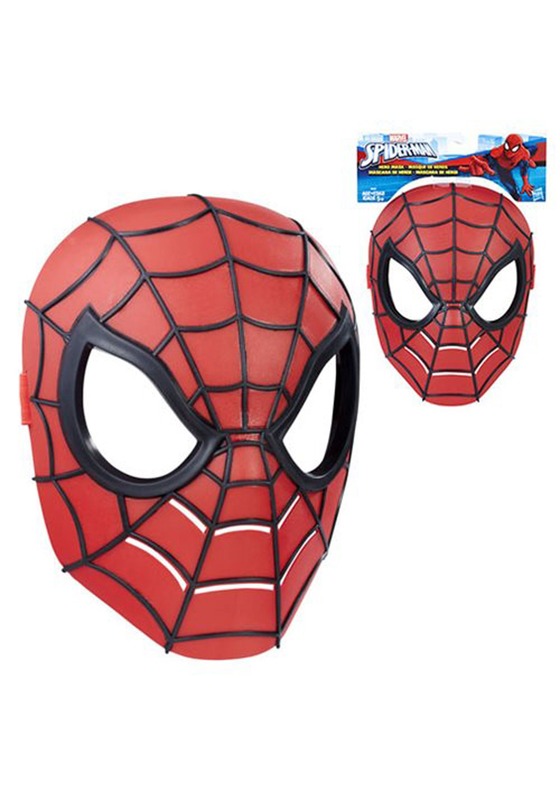 We recommend starting by letting your child wear this Spider-Man hero mask. This officially licensed mask is made of molded plastic and comes with rubber cushioning on the face for a comfortable fit. It has an elastic band that keeps the mask firmly on your child’s face. The front has textured webbing on the front, along with a mouth vent, and generous eye holes. It’s perfect for transforming your little one into the Marvel superhero. The One and Only Spidey! Once your child has this mask on, you can take full advantage of his Spider-Man phase. Just take tons of pictures and post them on your social media to show the world that your child is the one and only Friendly Neighborhood Spider-Man!